When I switched from Windows to Ubuntu as my primary OS, the first thing I was worried about was the availability of screenshot tools. Well, it is easy to utilize the default keyboard shortcuts in order to take screenshots but with a standalone tool, I get to annotate/edit the image while taking the screenshot. 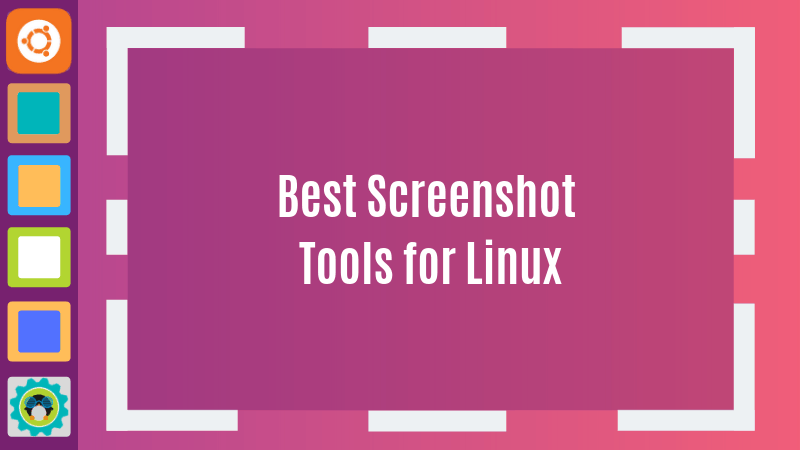 In this article, we will introduce you to the default methods/tools (without a 3rd party screenshot tool) to take a screenshot while also covering the list of best screenshot tools available for Linux. Do you want to capture the image of your entire screen? A specific region? A specific window? If you just want a simple screenshot without any annotations/fancy editing capabilities, the default keyboard shortcuts will do the trick. These are not specific to Ubuntu. Almost all Linux distributions and desktop environments support these keyboard shortcuts. PrtSc – Save a screenshot of the entire screen to the “Pictures” directory. Shift + PrtSc – Save a screenshot of a specific region to Pictures. Alt + PrtSc – Save a screenshot of the current window to Pictures. Ctrl + PrtSc – Copy the screenshot of the entire screen to the clipboard. Shift + Ctrl + PrtSc – Copy the screenshot of a specific region to the clipboard. Ctrl + Alt + PrtSc – Copy the screenshot of the current window to the clipboard. As you can see, taking screenshots in Linux is absolutely simple with the default screenshot tool. However, if you want to immediately annotate (or other editing features) without importing the screenshot to another application, you can use a dedicated screenshot tool. Flameshot is a quite impressive screenshot tool which arrived on GitHub last year. If you have been searching for a screenshot tool that helps you annotate, blur, mark, and upload to imgur while being actively maintained unlike some outdated screenshot tools, Flameshot should be the one to have installed. Fret not, we will guide you how to install it and configure it as per your preferences. If you face any trouble installing, you can follow their official installation instructions. After installation, you need to configure it. 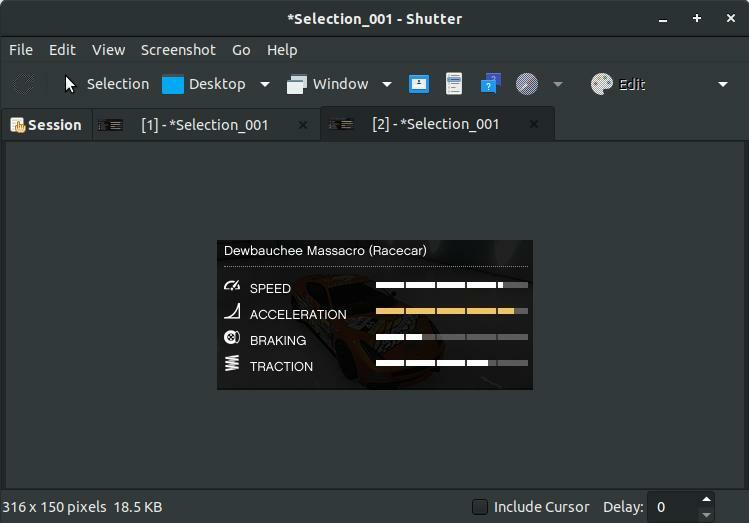 Well, you can always search for it and launch it, but if you want to trigger the Flameshot screenshot tool by using PrtSc key, you need to assign a custom keyboard shortcut. Head to the system settings and navigate your way to the Keyboard settings. You will find all the keyboard shortcuts listed there, ignore them and scroll down to the bottom. Now, you will find a + button. Finally, set the shortcut to PrtSc – which will warn you that the default screenshot functionality will be disabled – so proceed doing it. 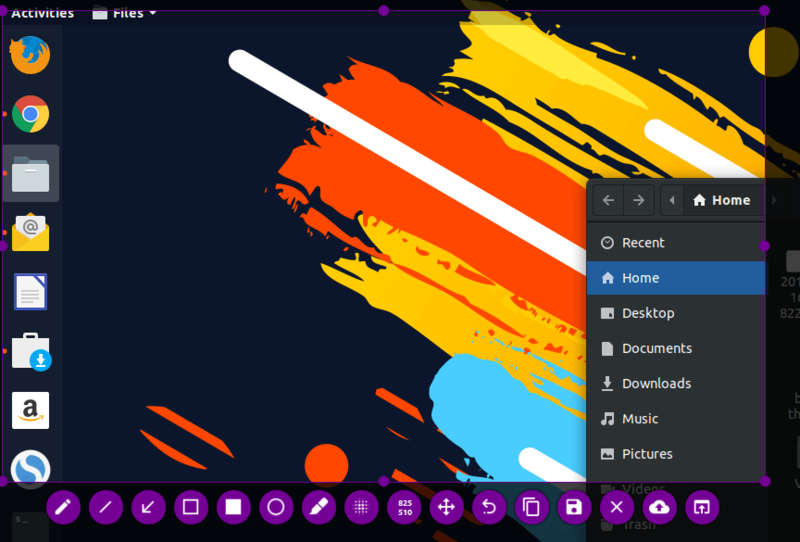 Shutter is a popular screenshot tool available for all major Linux distributions. Though it seems to be no more being actively developed, it is still an excellent choice for handling screenshots. You might encounter certain bugs/errors. The most common problem with Shutter on any latest Linux distro releases is that the ability to edit the screenshots is disabled by default along with the missing applet indicator. But, fret not, we have a solution to that. You just need to follow our guide to fix the disabled edit option in Shutter and bring back the applet indicator. After you’re done fixing the problem, you can utilize it to edit the screenshots in a jiffy. 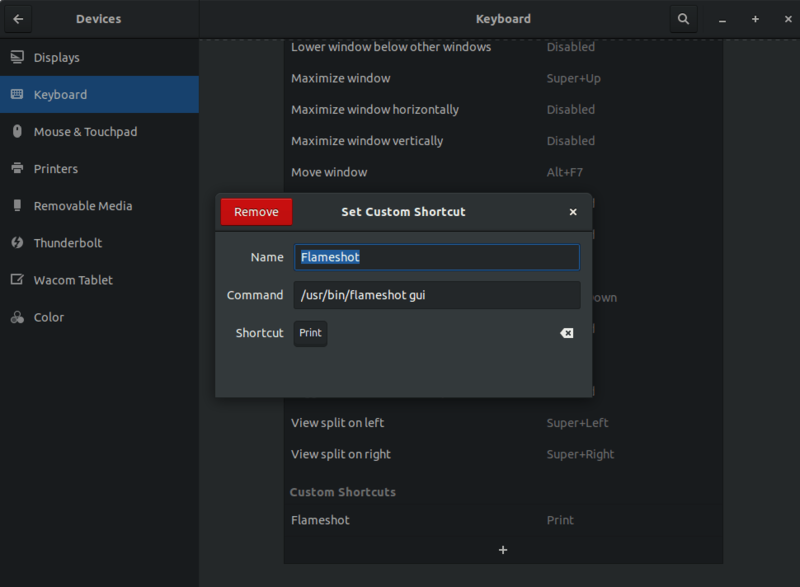 As we saw with Flameshot, you can either choose to use the app launcher to search for Shutter and manually launch the application, or you can follow the same set of instructions (with a different command) to set a custom shortcut to trigger Shutter when you press the PrtSc key. If you happen to use GIMP a lot and you probably want some advance edits on your screenshots, GIMP would be a good choice for that. You should already have it installed, if not, you can always head to your software center to install it. If you have trouble installing, you can always refer to their official website for installation instructions. 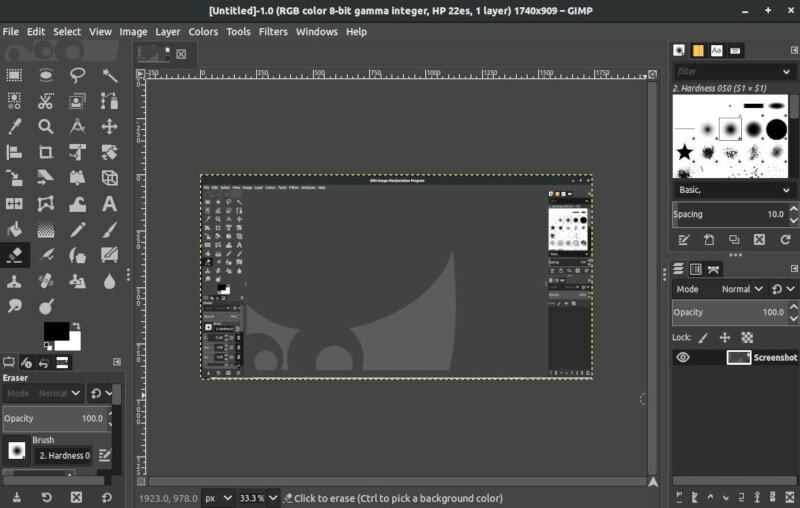 To take a screenshot with GIMP, you need to first launch it, and then navigate your way through File->Create->Screenshot. After you click on the screenshot option, you will be greeted with a couple of tweaks to control the screenshot. That’s just it. Click “Snap” to take the screenshot and the image will automatically appear within GIMP, ready for you to edit. This section is strictly for terminal lovers. If you like using the terminal, you can utilize the GNOME screenshot tool or ImageMagick or Deepin Scrot– which comes baked in on most of the popular Linux distributions. GNOME screenshot is one of the default tools that exists in all distributions with GNOME desktop. Here, “image.png” is your desired name for the screenshot. So, these are the best screenshot tools available for Linux. Yes, there are a few more tools available (like Spectacle for KDE-based distros), but if you end up comparing them, the above-mentioned tools will outshine them. In case you find a better screenshot tool than the ones mentioned in our article, feel free to let us know about it in the comments below. Also, do tell us about your favorite screenshot tool! I’m going to blame a complete lack of linux knowledge on my part to make this work – but to me there seems to be a HUGE disconnect between taking a screenshot with and creating some sort of graphics file. In windowsland, you then need to paste the image information into something such as Paint so that you can save the image. Is this the same in linux? I see no Paint analogue on my RPi 3B+. In fact, I only see an image _viewer_. Very frustrating because every step at what I’m trying to do leads to yet another problem that has to be researched for hours to find a solution.